Excited about their new home. The following client testimonials and reviews have been copied from the real estate marketing site Zillow.com and from a Google business page. If you want to see them on those pages then please Google “Doug Francis Realtor”. It has taken me some time to get to this review but I knew it was something I wanted to do in order to assist other buyers to make an educated decision when seeking a realtor in the Vienna area. For us finding a great realtor is as important as finding the right house. The two are intertwined and the one does not happen without the other. Our journey was a long one. We sold our home in Atlanta and moved to London for a few years. When we returned work landed us in DC. After speaking to friends we knew Vienna was the place we wanted to find our new home. When buying a home we generally know the pitfalls and wanted a realtor that understood our needs as a family. We first used a realtor who quickly showed that she had no idea of the Vienna area. We turned to Google to find someone that had local knowledge of Vienna and the community. Doug’s name came up and we never looked back. We must have looked at more than 50 homes. Nothing worked for us yet Doug never wavered. He never pushed us into any direction. He stuck with us for weeks on end. We considered schools, prices, neighborhoods, etc. At no point did we feel that Doug was anything but committed to find us a house in a school district that worked for us and our budget. In the end, we did find a great house and we are convinced that if it was not for Doug it would never have happened. We have now been in our new home for just over a year and Doug is still on the other end of the phone when I need help. He is our local contact that I call for anything and everything in the area. So, if you need Realtor in Vienna….stop, look no further. You found the right guy. You will thank me if you do hire Doug. Best of luck finding your dream house. We did and Doug made it happen! Doug was highly recommended to us by friends when we decided to put our house on the market. Doug came in and gave us a realistic assessment of what to expect in an uncertain market. He brought in experts to consult on staging and repairs. All of his recommended contractors were high quality and reasonable. He put together a plan get the house ready and provided excellent pricing guidance. Doug excelled in the marketing of our home. In addition to the help with the appearance of the inside and the curb appeal, He put together a professional video that highlighted the unique aspects of the house and really made it shine! We received a ton of great feedback from online prospects and actually received offers pre-listing. We were confident we’d get a good turnout for the open house but were blown away by the numbers that showed up! by the Sunday of the open house weekend, we received multiple offers above the listed price. Doug guided us through the offers and made suggestions on the best course of action. We closed in record time at a price we were very happy with! Of the 4 Realtors we’ve worked with, Doug was by far the best overall. We’re sure the experience would not have been as smooth or as successful with another agent. We highly recommend Doug and will be happy to utilize his services in the future! We started working with Doug a year before we put our house on the market. 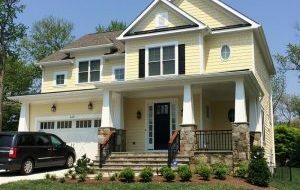 He was very knowledgeable about what we needed to do to our townhome in order to get it ready to go on the market, and we reviewed multiple offers three days after he listed our home. When he first met with us, he asked us what we were looking for in a single-family home. A year later, he remembered how important features like natural light were to us, and he found us the perfect home. We couldn’t be happier. It is impossible to say enough great things about Doug. We were new to the area, and his local knowledge and experience was such an asset to us. Doug went above and beyond the call of duty and served as our “agent” in the truest sense of the word, particularly when we were not in town to oversee construction. When issues arose, he always had solutions. Although he has a busy practice, we always felt like we were his only clients. We would enthusiastically recommend him to anyone without reservation. Because of an illness I needed an agent that would be willing and have the necessary skills and contacts to handle all aspects of selling my townhouse, including working with contractors for all repairs/upgrades necessary to prepare the house for showing as well as the normal realtor skills for showing the house, evaluating offers and guiding the sales process through closing. Doug was masterful in handling this process to a successful conclusion, providing us with a stress-free environment for me to recover from my illness while ensuring that the final transaction provided us with a very satisfying financial conclusion. Doug epitomizes the consummate agent who treats his clients with respect and is committed to providing as successful an outcome as is possible. I strongly recommend him to anyone wanting to sell a property in the Vienna/Oakton area. As the executor of my parent’s estate, I was responsible for selling their home in northeast Vienna, built in the 1950s. The older houses in that area of Vienna are very attractive for demolition and rebuilds, and since the house needed work, we initially decided to have Doug privately market the house to developers and builders. He worked diligently on this, but when it became apparent that there were likely to be no takers (the lot is steep and tough to build on), he was prompt about giving us this news, and practical and honest about what our options were. Doug gave us very good advice about what improvements we should consider doing that would have the most impact in making the house marketable, at the lowest cost. He was able to help us find a reliable and reasonably-priced painter, and had referrals for all other types of contracting help. The contract that we eventually landed, (before the house went on the market), was out of the ordinary in that it took the house in mid-renovation, but with a difficult VA loan. Doug was able to make the entire process go very smoothly and we closed in a very short amount of time with no problems. More importantly, Doug was very understanding of how difficult it was for me, and my family, to sell a house that had been a beloved family home for more than 50 years. He never pressured us, but instead guided us with patience, information, and practical help, and always respected our wishes and concerns. I highly recommend Doug Francis. We wanted to sell our house to downsize but knew our plans might not be realized because of the recession, but we thought it was worth attempting to sell. Doug was recommended to us by a friend and at the time we interviewed him, we were not confident that we would be able to sell in a reasonable amount of time and at a good price because of the down housing market. Doug’s knowledge, demeanor, and confidence at our first meeting convinced us that we would be able to find a buyer and get a satisfactory price with his sales plan. Doug was calm, practical, and always truthful and ethical. He brought us superb staging advice through a trusted professional. He guided us through all the preparations, told us things that were done well and things that we didn’t want to hear about prep; in all cases he was correct and we followed his advice. He developed a marketing strategy that placed our house in front of the types of buyers who would be drawn to the house, the neighborhood, and the conveniences of the north Vienna locality. He did his research well. He used social media and the web extensively with outstanding results. He helped us set an asking price that was exactly correct (even though we were nervous that it was too high). Doug knew what was possible and he managed the sale to its success. We prepared ourselves for the challenges and inconveniences of having the house on the market for many months while Doug calmly encouraged us to be ready for a much less stressful “on the market” experience. Doug was correct; he knows his market and he knows what can be done. We were happily stunned when we had 5 offers, 2 at full price, after only 6 days on the market. Doug made this happen and we recommend him to everyone trying to sell. He’s simply one of the best. Doug was always available to us and a full partner with us throughout the selling experience. You can’t do better in our opinion than working with Doug Francis. If you choose Doug as your agent, you will be working not only with an excellent agent, but an excellent human being. Doug helped us purchase a great condo, but six months later, I was laid off. That very day, Doug was emailing me — not because he thought I was moving out, but because he wanted to introduce me to others who might help me find a job. In the end, moving to another city for a job was the right decision, and we asked Doug to help us sell our place. Home sales are slow in August in VA, and there were multiple other units in our condo complex for sale — with similar floor plans, at a much lower price than ours. But Doug gave us the right advice to make our place very appealing and we were offered the higher price despite the time and despite the alternatives. When our AC went out on moving day, just before the buyer’s inspection, Doug knew how to get the warranty company to send someone that very day to get it taken care of. The AC was fixed and we didn’t pay a cent, and in the midst of a hectic move, getting that sorted quickly helped preserve our sanity. For job purposes we had to move away well before the sale was completed, but we knew we could leave the condo in Doug’s hands. He took care of everything for us so we didn’t even have to return to VA to complete the sale. Doug makes you feel as though you are his only client, he knows the business, and he’s incredibly trustworthy. You’ll be glad you went with Doug as your agent. Doug Francis has provided me with excellent real estate service, both as a seller and as a buyer. His years of experience and familiarity with the Northern Virginia area are readily apparent. As a seller’s agent, Doug advised us on how to best prepare our condo for listing. Thanks to his advice (and recommended contractors), we had a ratified offer within 3 days! Doug was also a very patient buyer’s agent who took the time to understand our preferences. Viewing prospective homes with Doug was an educational experience. He pointed out features and flaws that we didn’t recognize on our own. Doug just helped us find a home that should keep us satisfied for many years to come, otherwise I’d be happy to work with him again! We had a great experience using Doug as our buyer’s agent. For starters he is a very approachable, likable guy, very down to earth and responsive. On really short notice he spent an entire weekend showing my husband many, many homes and provided a lot of insight into the market conditions of neighborhoods, differences in builders and builder quality, and pros / cons that we may not have considered. His experience showed, and most importantly he was responsive and paid careful attention to detail and keeping us in the loop during the whole process through closing. I would absolutely use him again for any home buying or selling needs, and recommend him to anyone seeking an agent in the Northern Virginia area. I was working with a realtor who was recommended by a friend who ended up being on her phone the entire time were were looking at houses. After terminating that relationship, I called Doug out of the blue while on business travel after seeing a house that looked like what I wanted online. Doug was very responsive and went out and looked at the house in my absence. When I returned about 36 hours later I saw the house first thing in the morning and ultimately ended up buying it. 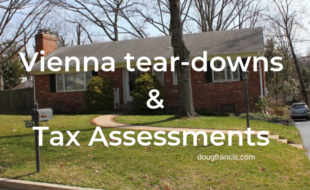 Doug is very knowledgeable about the northern Virginia area, especially Vienna/Fairfax, and was great to work with. Would highly recommend. Doug has an expert knowledge of Vienna real estate. He is kind, helpful, patient, and diligent. It was a pleasure working with him in selling my father’s home. He always had good advice, presented in the most diplomatic manner. With Doug’s help, we were able to secure a sale at our asking price practically immediately after getting on the market. I would definitely use Doug’s services again, and recommend him to anyone looking to sell their Vienna real estate. We talked with several different agents before choosing someone, but once I met Doug it was a clear choice, and I had no regrets. Doug is fantastic! We were new to the area and he was a tremendous resource for us in finding our new home. We selected a house under construction, and Doug was there for us (and on our behalf) every step of the way. Doug went above and beyond what we ever expected in every possible way. Doug is a true professional. We can’t recommend Doug enough. I’ve known Doug for years, ever since he helped us buy our first home in Centreville. He is extremely patient, knowledgeable, and willing to walk clients through the process. We really felt like we got a real education while working with Doug. Recently, he helped us sell our home after we relocated to Canada. He watched over the property while we were out of the country and went above and beyond making sure it showed well. Doug is extremely savvy when it comes to using technology to market homes, but does not let that take precedence over the human touch and knowing how to deal with people. One month after we move in and the oven isn’t working. It was working just fine a few days ago. We can’t find the home warranty number to get it fixed. Who do we call at 7pm? Our Realtor Doug Francis. His answer? “I don’t want you guys to go without an oven for too long.” Doug calls our title company first thing in the morning and they in turn are contacting the warranty firm directly. You see, Doug didn’t have to do any of this. A month ago, he could have walked out of the closing with a family extremely happy with his services. This is our first house. We’d never really dealt with a Realtor before. My wife found Doug’s blog online and found it to be highly informative. So we gave him a ring and we began the search. Through four offers and a white hot real estate market, Doug was persistent. He was always on call to see a house with us or to answer any of our first-time homebuyer questions. Through the process, we found other real estate agents to be flighty, sketchy or generally unkempt (sometimes all three). But Doug is a paragon of a Realtor: steady, reliable and Mensa-level smart on Northern Virginia communities and the real estate business. Because of all these things, Doug’s our real estate agent until he retires, whether he likes it or not. Doug was our Buyer’s Agent when we bought our townhouse, just after we were married. Now, 10 years and 2 kids later, we had outgrown our townhouse. We knew we needed to call Doug, and start a new house hunt. We started in the housing off-season, when there were not many houses on the market. Doug was always available and responsive when a new house came on the market that we needed to see. He is very knowledgeable about the Northern Virginia real estate market, and his insight was valuable. We had a small area in which we were searching, and Doug was patient with our search. He offered realistic advice which helped our decision making process. Thanks to Doug’s advice, when the right house came along, we had all of our financing ready, lender approval letters, and were able to submit a strong offer that made the difference. As our selling agent, Doug’s insight helped us through several projects that added value to our home before putting it on the market. Doug invested a great deal of time guiding us through the process of staging our home and getting it ready to put on the market. His advice helped us get top dollar in selling our townhouse. We recommended Doug to our neighbor, and he helped them find the home they needed, and get top dollar for their townhouse as well. We would recommend Doug as a buyers agent, or sellers agent without reservation. This was a fantastic experience, and now we have a wonderful home to raise our family in. Doug assisted me as a buyers agent as I considered buying my first home in Fairfax county. He visited a half dozen homes with me and was very knowledgeable on pricing and inventory availability. Ultimately, I ended up relocating out the area (which more reflects my views on cost of living and housing in general in NoVA) but I would definitely use Doug again as a buyers agent if I relocated back to the area. Doug helped us with the sale of a rental property. Because we now live out of the DC area, it was very important to find a great agent who could really get things done. Doug went above and beyond the call of duty. 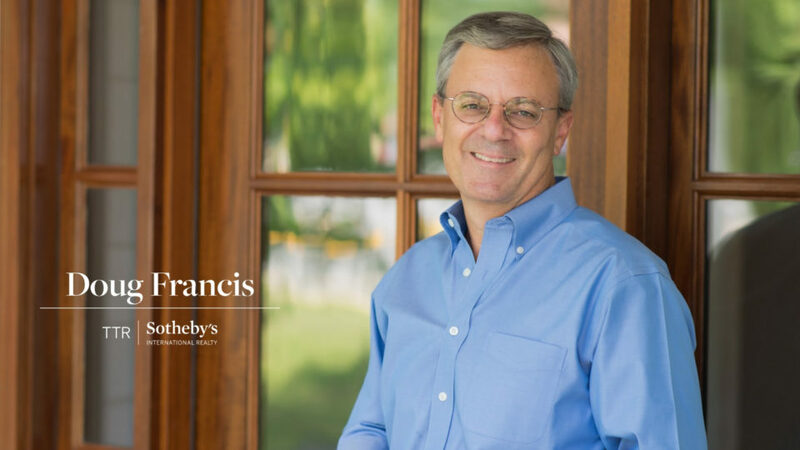 I strongly recommend Doug, especially when it comes homes in Vienna, VA.
Doug Francis helped sell our house and get us into a new house in the Vienna area. He made the transition go smoothly and was there every step of the way. I still use him as a source for information and he will always take the time to answer questions, or if for some small chance he does not know the answer, he will find someone that will. Doug was always calm and attentive to what our needs were. I would use him again and recommend anyone to use him if they are planning to sell or buy. If you have made it this far, thank you! My business utilizes today’s technology, but I still understand that my clients are people transitioning through a wide range of life experiences. Please know that I want to work with you too. Call me at 703-304-6827 or send me an email at doug@dougfrancis.com . Still want to read more?